I had a ton of blueberries left over from the blueberry scones and wanted to use them in a quick dessert last night. 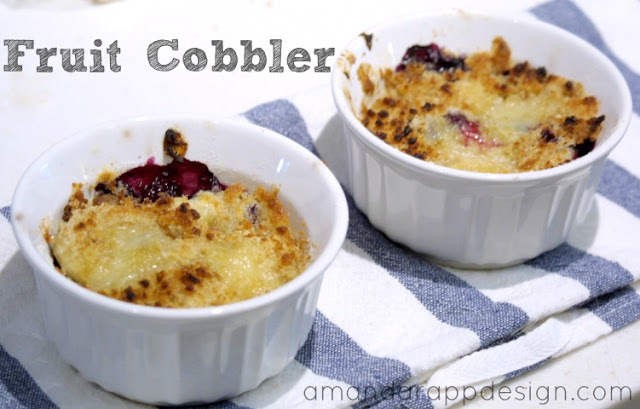 Cobbler is a really easy dish to make and you can use any fruit you like. Along with the blueberries, I also had some ripe bananas so I threw in some as well. I used small ceramic cups since I just wanted to make two individual servings. 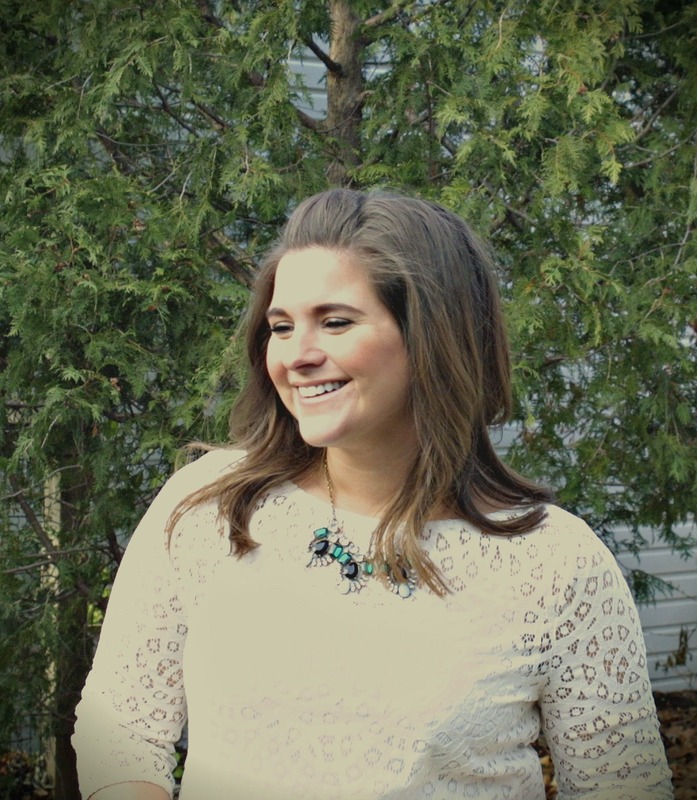 These next few steps don't have to be exact, it's hard to screw it up! Add your fruit to the cups, I filled them to about 1/2 the container. I made a larger batch of the topping to keep in the freezer for next time so you could half/quarter this recipe if you only wanted a small amount. Add the dry ingredients together and mix. Cut up the cold butter into 1/2 pieces, add to dry ingredients and mix. I used my handheld mixer with the beater attachments. Mix until the butter is into small pieces. 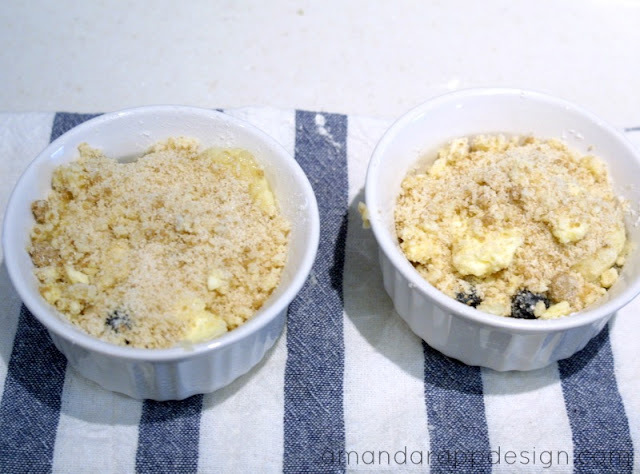 Add the topping over your fruit, I like to make sure there are some pieces of butter on top so it melts across the top. I baked them for about 15 minutes @ 350 degrees. I wanted the top extra crispy so I turned on the broiler for a couple of minutes.. be sure to keep an eye on them because they can burn easily. Serve warm with a scoop of vanilla ice cream. Simple, fresh & delicious! 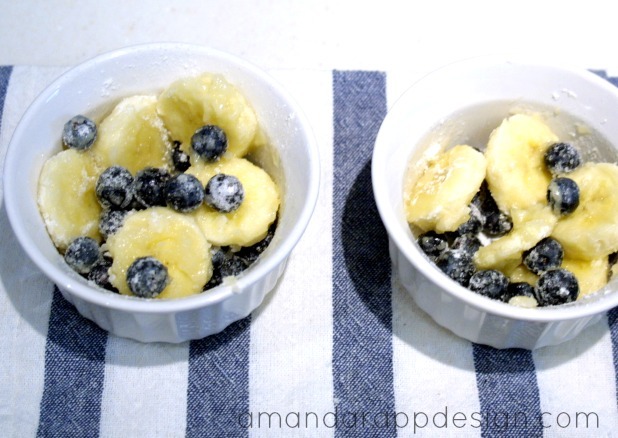 The blueberries were amazing but I think I would leave out the banana next time since it was kinda mushy. This would be amazing with peaches, strawberries, raspberries, or maybe apples if they were in small enough pieces. I stored the extra topping in a ziplock in the freezer for the next time we have a craving or need a last minute dessert. What's your favorite summer-time dessert?